Trump’s protectionism policies have had a big impact on the volatility of markets in the first quarter, especially with oil stocks. This is making investors thinking about buying stocks in the industry second guess themselves. Well, the U.S. is on the brink of a trade war and as our two economies are closely linked, the impact will be felt north of the border as well. However, there may be a silver lining. Oil, which has been in a bear market for a number of years, is now quietly breaking out. Since hitting a bottom of $29.91 per barrel in January 2016, the price of oil has trended upwards hitting highs not seen since 2015. Adding to the good news, the Saudi energy minister recently announced that it expects OPEC countries to extend its production cuts into 2019. The group is expected to meet and decide on its 2019 policy this coming June. Oil prices are significantly impacted by geopolitical tensions and more importantly, by supply. The oil glut and oversupply has slowly been tapering which is a promising sign for investors looking to buy oil stocks. Looking to grab the whole industry on the up and up? The oil and gas sector is currently one of the best value sectors on the TSX. If you’re struggling to pick individual stocks, have a look at our list of the best oil and gas ETFs. The oil & gas sector is currently home to some of the most undervalued equities on the TSX. The long bear market has decimated the sector and there are many companies now trading below book value. That is why we felt the need to create a list of oil stocks to look at for 2019. Over the course of the past year, the TSX Oil & Gas Index has lost approximately 15% of its value. Investing in the sector is not for an investor with weak hands, but oil & gas exposure is no doubt an important aspect of a portfolio diversification strategy. The following is list of the top TSX-listed oil stocks. There is something for everyone on the list, from Canada’s most reliable, integrated oil & gas companies, to some more speculative picks. It is very important for investors to do their own due diligence in sectors with high volatility. If you have a sweet tooth for speculation, our top cannabis stock list will tickle your fancy. 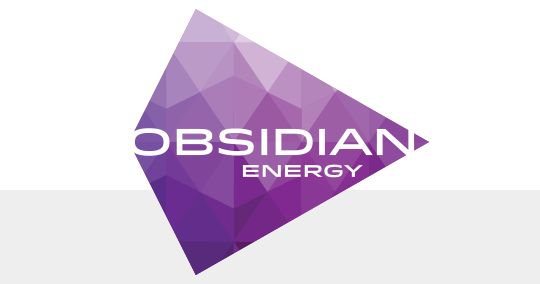 Obsidian Energy, formerly known as Penn West Petroleum, is our wild card entry for our list of top oil stocks for 2019. This company is not for the faint of heart and is highly volatile. The company has been in the news a lot lately and not for the best of reasons. For starters, it announced a 3 for 1 share split, which is often viewed as a negative by the market. Secondly, it is engaged in a public proxy dispute with activist shareholder group FrontFour Capital. In 2017, the company reduced its net debt to EBITDA to below 2.0, the lowest it’s been in over six years. Obsidian expects to fund CAPEX with internally generated funds and as it has disposed of older assets, it has achieved 6% higher funds flow from operations with only 42% less production. Finally, the company is trading at a ridiculous P/B of 0.38 and an EV/EBITDA of 5.55. Obsidian is a high risk high reward company. While most oil and gas companies have struggled to start the year, Baytex has held up better than most. In fact, it has outperformed every other company on our list year-to-date. This is due in large part to the company’s share price jumping 14% following impressive fourth quarter earnings in early March. This small-cap producer is one of the cheapest oil and gas companies on the TSX. For starters, it is trading significantly below book value with a P/B of 0.57. Also, its P/E of 10 is below its historical averages. Secondly, its 5.91 EV/EBITDA is about half of the industry average. One of the issues holding Baytex back is it has a high cost-per-barrel and is only free cash flow positive above 55$ per barrel. The good news is that it has no long-term debt coming due until 2021. If you are bullish on oil, Baytex makes for a great entry point. However, if you are bearish, stay away from this one as it will struggle in the near term at a low price per barrel. The number 5 spot on our list of the best oil stocks to buy is Tourmaline Oil. Tourmaline Oil Corp is focused on long-term growth through an aggressive exploration, development, production, and acquisition program in the Western Canadian Sedimentary Basin. The company recently posted blowout 2017 numbers. It realized 31% production growth, grew reserves and posted a massive 65% growth in cash flow. It is also one of the lowest cost producers. Tourmaline was one of the few senior oil and gas companies who did not pay a dividend. However, in March the company announced its first ever quarterly dividend of C$0.08/share. Like many of the smaller companies, it is trading below book value and its forward P/E ratio is a respectable 18.37. Of the 11 analysts’ covering the company there is rare consensus as all rate Tourmaline a “buy”. If you don’t trust analysts’, insiders have been scooping up shares at a record pace implying the company is significantly undervalued at current prices. Coming in at number 4 on our list of the best oil stocks to buy right now is Whitecap Resources. Whitecap Resources has had a busy year. The company increased its reserves per share across all categories and reserve additions replaced 707% of current production. The company expects fund flows to reach record numbers in 2019 and is positioned to fund CAPEX and dividends with internal funds. The company anticipates to remain cash flow positive with oil above $45 per barrel. This is exactly why they come in at the number 4 spot on our list of the top oil stocks to be looking at. Whitecap Resources is currently trading near 52-week lows and just over book value. In early November, the company closed a $940 million deal to purchase a majority stake in Saskatchewan’s Weyburn oil sand operation. The deal is expected to be immediately accretive to free cash flow and will sustain continued dividend growth. Analysts have a median price target of 13$ on its shares, which implies a massive 62% upside. Number 3 on our list of the best oil stocks in Canada is CNRL. Canadian Natural made its name on the development of the Athabasca sands. The company now has operations worldwide as it generates billions from its operations in the North Sea, its light crude blocks in Africa, and deep-water interests in Ghana and Gabon. Canadian Natural is Canada’s second largest oil & gas company by market cap and is a Canadian dividend aristocrat having raised dividends for 18 consecutive years. Not only does the company have one of the longest dividend growth streaks in Canada, it also has one of the most impressive dividend growth rates, having raised dividends by double-digits over the past 10 years. In early March, the company raised its dividend by a healthy 22% significantly outpacing its sector peers. Whereas most of the competition struggled in 2017, Canadian Natural was a top 10 sector performer and investors can expect this out performance to continue. In 2019, CAPEX is expected to come in below 2017 and fund flows should increase by 10% on the back of increased production. Coming in just shy of the top spot in Stocktrades list of the best oil stocks is Cenovus Energy. The company has been of one of the worst performers over the past year. Bears point to its over-priced $17.7 billion acquisition of ConocoPhillips’ oil sands stake and its subsequent leverage as reasons to stay away. However, these issues are mainly short term in nature and the company’s long-term future looks bright. An investment in Cenovus, is very much a contrarian play and a vote of confidence in management and their ability to execute. In our recent stocks to watch list, we talk in more detail about what it needs to accomplish. Equally as important, the company expects oil sands production to double in 2019. This level of high quality growth is difficult to find. Although investors can expect short-term volatility, long-term investors should be well rewarded. Topping our list of the best oil stocks is Canada’s largest integrated oil & gas company, Suncor. The company has been one of the most consistent performers in the industry and is largely considered to have one of the best management teams around. Suncor is prominently featured on our top Canadian dividend stocks list as well! The company has a 16-year dividend growth streak and recently raised dividends by 12.50%. In February, the company filed an application to build a significant new oil sands project. The new 160K bbl/day-steam based Lewis project is expected to be built in four phases and would cost approximately 6.2 billion. The company continues to streamline operations and has consistently reduced cash operating costs from its oil sands operations. Suncor is truly best-of-breed and is our top pick in the oil and gas sector! How’d you like our list of the top oil stocks? Thank you for taking the time to review our list of picks within the oil and gas sector. The industry is promising, and if the price of crude oil continues to rise, we could be looking at some extremely undervalued stocks right now. Keep in mind that this list of oil stocks is only a starting point. Make sure to do your own due diligence, as different stocks can cater to different people in terms of risk and diversification. Furthermore, if you are interested in starting to invest or switch brokers to save money, click here to check out Questrade. They are a best overall online brokerage where your money is safe, and your margins are bigger thanks to low commissions. And the numerous free extras such as learning tools and tutorials are outstanding.